The tried and tested concrete wall pattern, the 2-louvre is the 'traditional' pattern. 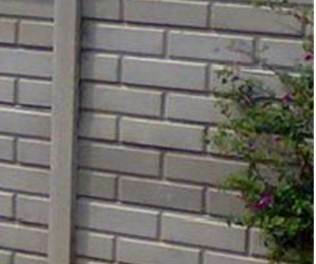 These solid vibra crete walls will give you privacy and security at a very affordable price. You and also easily personalise these walls by painting them with a good cement- or roof paint to match the colour of the house or garden. Concrete: Concrete strength of 28MPa after 30 days. 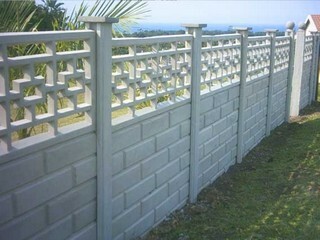 This 3-louver concrete fence compliments most entertainment areas, providing privacy, safety and beauty. With its smooth finish on the in-side, the design will give your home that special appeal which makes it stand out in the neighbourhood. Made with strong concrete and containing reinforcement rods, the 3-louver design will give you years of service. 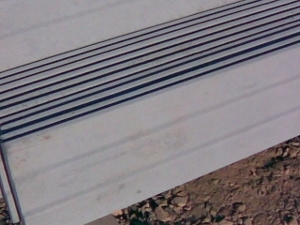 Each louver is 100mm or 4 inches high for a total slab height of 305mm. The 3-louver range of products is the most popular and we therefore produce this product en-mass. This makes it the most cost effective concrete walling solution we manufacture using our four lines louver moulds. The 3-louver, as the 2-louver, is quick to erect on a clean installation line and reasonably soil condition. Up to 120 meter per day can be installed by the installation team. Panels: 2 x 3.15mm spring steel. 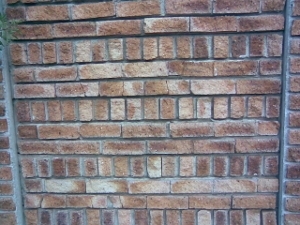 The big-block pattern fence has a larger block pattern than the old small-brick pattern. 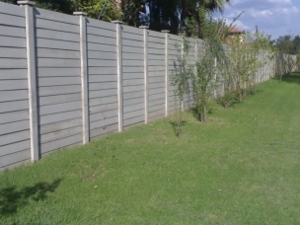 The wide block smooth finish texture contributes to the naturally authentic look of this beautiful fence. This fence is ideal for most aesthetic requirements suited for projects and architectural styles that incorporate large, bold rectangular shapes. We can erect this wall with or without a bar top. This type of concrete walling can be painted very affectively. The area of the blocks can be painted one colour and the valleys another colour. 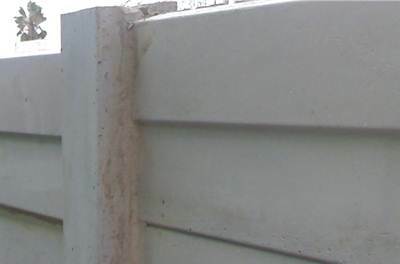 This pre-cast fencing product is manufactured using our custom moulds to create a superb finished concrete wall for your project. As with all of our designer concrete fences, the textural definition is naturally enhanced by the changing light of the sun. The deep texture contributes to noise reduction along busy thoroughfares when installed as a sound barrier up to 2.45 meters high or screen wall and is a welcomed visual enhancement to property owners adjacent to the road. 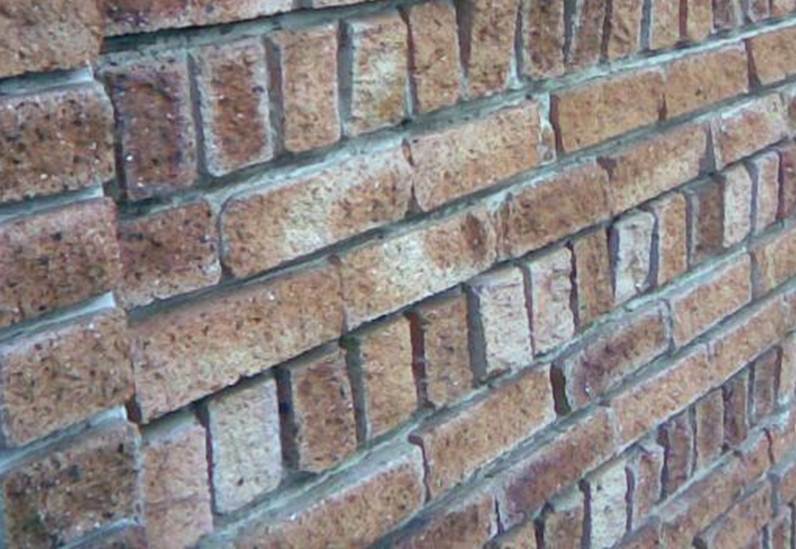 The Semi-Face Brick design manufactured by ALFA Concrete Walls mimics the rich tradition of hand laid clay brick with the economical and everlasting benefit of our modular concrete precast post and panel system. Our system has a pattern on side and bricks on the other, making your home as attractive from the inside as from the outside.